American defender Caleb Stanko is gearing up for what he is hoping will be a breakthrough year at Freiburg. 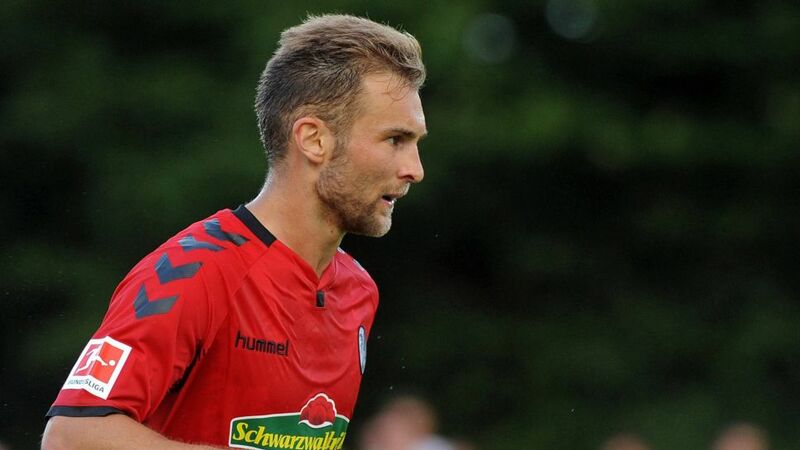 The 24-year-old, who has been at the Black Forest club since 2011 after impressing on a three-month trial from Vardar Soccer Club in Detroit, is a defensive midfielder by trade but has been filling in at centre-back during pre-season owing to injuries to Manuel Gulde and Georg Niedermeier. He played the full 90 minutes of Freiburg's last friendly before the Bundesliga re-start, a 2-1 defeat to FC Torino, and has played in the position regularly this summer. Stanko lined up against Feyenoord, Atiker Konyaspor, Sandhausen and Lörrach in central defence, demonstrating his versatility having previously featured in midfield in tests against Schutterwald and Freiburger FC in early July. "It's definitely an advantage for a player to be flexible," the Michigan native told Kicker magazine. "I just want to play, that's the important thing for me." Stanko made a handful of first-team appearances for Freiburg in their promotion-winning 2015/16 campaign in Bundesliga 2 and was even handed his first full international cap by former USMNT head coach Jürgen Klinsmann in September last year. He was loaned to FC Vaduz last season with a view to gaining more playing time and experience. It was a successful stint, and he made 26 outings in the Swiss Super League and has returned eager to take his chance in Christian Streich's side. Competition is fierce at Freiburg, with Caglar Söyüncü, Marc-Oliver Kempf and Real Madrid loanee Philipp Lienhardt all vying for berths at centre-back, while Amir Abrashi and Nicolas Höfler are Streich's preferred midfield pairing. And although Stanko is shorter than most modern central defenders - he stands at 1.80 metres (5'11") – it is not unheard of for players of his stature to thrive at the heart of defence. After all, Javier Mascherano, Fabio Cannavaro and Gary Medel are all even a couple of centimetres smaller, but still managed to forge careers at the highest level. Stanko himself is equally unconcerned, saying: "I've got a good leap and get a lot of cover from the two defensive midfielders." All of which has given him faith he can be a factor in his coach's planning this term: "We're all fighting for a place and it's tight. I had a good pre-season, I've trained well and I believe in myself."